When the sky is dark at dusk and the ISS is lit by the sun, you can see it from earth. The International Space Station shines like a bright star. It’s bigger than a football field. At an altitude of 400 kilometres, it flies with such speed that it defies gravity. 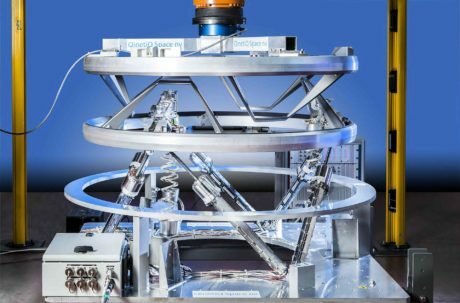 Eichenberger, the Swiss thread specialist, is proving yet again that it has a solution for any customer requests and performance requirements: three ball screws will master the Dream Chaser’s docking on the ISS in orbit. Designers are regularly faced with the challenge of finding the right drive technology to implement linear movements. Often, high positioning accuracies and oscillating movements from high frequencies must be accomplished when trying to achieve the smallest lifts or high dynamics in constant use. We focus on safety and reliability. Restricted assembly space with heavy loads is a frequent challenge. Maintenance times as well as service life and, not least, cost also play an important role. The requirements on mechanical drive elements and the demands in the relevant areas of use increase similarly. 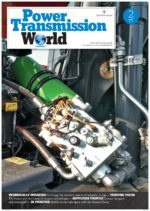 Ball screws are one of the most commonly used drive systems in many industries. The advantages of this drive system are its high efficiency and energy efficiency. Eichenberger’s screw technology, thread rolling (cold-forming of the surface of round components), combines the highest carrying capacity and power density with extreme dynamics and precision with maximum performance. For Eichenberger, the focus is always on the customer: Actively listening and asking, advising, designing, building, testing, optimising, producing. Only in a purposeful exchange of information and ideas, can requirements be understood and implemented fully. Trusting its own strength, the thread expert adapts its products and supply chain to constantly increasing international change. The thread specialist lives “pro-active action instead of reacting” as a vital part of its company culture. Its custom-made ball screws are used everywhere, from medical equipment, electrical engineering, automotive and automation to aviation and even space travel. The various customer tasks over almost seven decades have turned the thread roller from Burg (CH) into an experienced and sought-after specialist. Eichenberger manufactures items very efficiently and speedily. Prototypes, including thread rolling tools, if required, can be manufactured quickly. This is only possible because the development, production, quality management and sales departments work perfectly together in-house. Thanks to this, we are able to manufacture products flexibly and competitively. Today, the most unusual customer solutions are developed upon request. Using our cost-effective cold-rolling procedure, the impossible is achieved. 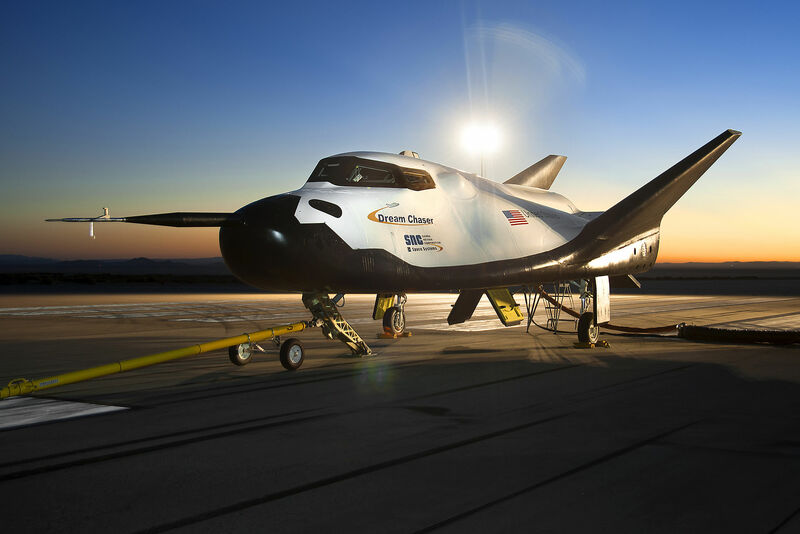 The docking system of the Dream Chaser consists of three robust, corrosion-resistant ball screws with end cap ball return, Carry Type KGE, 16 x 16. The goal of creating is to make success stories. It is not rare that solutions for exotic special applications begin with inspiring discussions. In 2015, a project was launched in Burg with the globally leading supplier of products to the aerospace industry. The goal of this collaboration is to execute docking manoeuvres during a space rendezvous between the ISS and the innovative, re-useable space glider “Dream Chaser” from 2020. The docking unit, which is “300% safe” and functional, is the integral part. The centre piece inside this docking system consists of three robust, corrosion-resistant ball screws with end cap ball return, Carry Type KGE, 16 x 16. Reliability is the highest priority for the space shuttle service. Its robustness and resilience in the harsh, unfavourable orbit environment plays an essential part. Meticulous accuracy is also vital. The new space shuttle will blast off inside the nose of the Atlas V launch vehicle to go into near-earth orbit. It can fly with or without a crew and land at any conventional airport. There is room for up to seven astronauts in the space glider. The “Dream Chaser” could, for example, be used as a research platform, to transport people or freight into space or to actively remove space junk from orbit. Using the docking unit in which Eichenberger’s ball screw CARRY guarantees a precise, safe docking procedure, the Dream Chaser will be able to dock on the ISS, the occupied station in orbit. At a speed of 28,800 kilometres per hour, the flying laboratory only needs 92 minutes in zero gravity to surround the earth. Astronauts living and working in the station therefore experience 16 sun rises and sun sets every day. The first major hurdle after the strenuous rocket launch with extreme acceleration and vibrations, is the vacuum. It has an effect on everything that is liquid or that can evaporate. This also includes lubricants. Grease that is solid on earth, evaporates in a vacuum. That is why mobile parts must be able to comply with maximum service life requirements, even without lubrication. Temperature extremes are also challenging. The temperature of the components in orbit depends on the material that faces the sun. – 50°C to + 90°C is expected on the docking station. Additionally, ultra-violet light, X-rays, particles with a high energy charge and atmospheric atoms have an impact on the material which becomes more prone to corrosion. 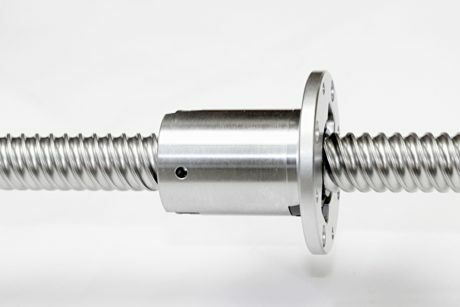 Eichenberger is proving that the extraordinary characteristics of the Inox ball screw CARRY, with integrated high-performance plastic in the ball return, will withstand the aggressive environment of space, ensuring function as well as resisting corrosion and wear. Eichenberger is proving that the extraordinary characteristics of the Inox ball screw CARRY, with integrated high-performance plastic in the ball return, will withstand the aggressive environment of space. What makes the ball screw Carry so resilient and the ideal functional element for this application? Cold-rolling threads creates very precise geometries with a high surface quality. As opposed to grinding, milling or turning, during milling, the material’s longitudinal fibres are not cut but diverted. The result is a compressed and extremely resilient surface which has been rolled smooth. This is essential for the long service life of a screw. Roughness values around Rz 1.0 on the edges of the thread are also excellent advantages. In steel ball bearings, the rolling friction co-efficient is about 0.0013 compared with sliding friction of steel on steel (lubricated) of 0.1 to 0.05. The excellent sliding properties of cold-rolled ball screws ensure minimal friction and provide little scope for contamination. The quiet rolling of the balls is therefore very easy. Thanks to the innovative Hard-Inox® P treatment, the highest requirements concerning surface hardness and corrosion resistance of stainless steel were fulfilled. During this process, the performance of the lateral structure of corrosion-resistant steel is significantly increased, thanks to high-temperature nitriding. (Surface hardness reaches 550 to 750 HV with a hardness penetration depth of 0.1 to 1.0 mm.) The great advantage lies in the increase in service life and value retention. The art is to master warpage and changes in dimensions despite the high-temperature treatment. The perfect combination of hardness and precision has to be achieved. The wheel of mechanical systems cannot be re-discovered. Yet, it is still Eichenberger’s claim to keep testing the limits of cold-rolled ball screws. Competency goes beyond knowledge. Or to put it another way: competency is the skill of solving problems. Each screw that is developed from scratch is included in the thread rolling range. Over the decades, this has generated a wide selection of ball screws and lead screws. Designers always try to start with a standard nut or screw, then adapt these elements to the application-specific requirements. This has a significant price advantage. The challenge for the designers in the high-price country of Switzerland is to create outstanding added technological value in a competitive product in line with the market. Technological know-how, research and development are just as necessary as a willingness to change and mastery of efficient production procedures.